‘This Is Us’ is a drama series about a group of seemingly unconnected people who all share the same birthday. The series, set in Pittsburgh, follows married couple Jack (Milo Ventimiglia) and Rebecca (Mandy Moore), twin siblings Kate (Chrissy Metz) and Kevin (Justin Hartley), and successful family man Randall (Sterling K. Brown). When we first meet them, Jack, Kate, Kevin and Randall are all celebrating their 36th birthdays, as well as dealing with the trials and tribulations of their lives. Rebecca is pregnant and in the first scene, her water breaks, sending her and Jack to the hospital. Kate is dealing with her addiction to food and her struggle with her weight. Kevin is a sitcom actor, tired of the low quality work he has to do day after day. Randall, after searching for a while, has located his father. All of these characters are beginning new chapters in their lives, and making changes. That’s how the story unfolds, and as it does, we begin to learn that a birthday isn’t the only thing that connects these characters. To say too much more would give away one of the best twists in recent TV memory. The pilot episode is expertly constructed , well written, and beautifully presented by the actors. Watch for a great scene between Gerald McRaney, as the doctor delivering Rebecca’s baby, and Milo Ventimiglia. Granted, we’ve only seen 2 episodes. But so far ‘This Is Us’ is a breath of fresh air in the age of formulaic network TV dramas. Heartfelt dramas are becoming increasingly rare in today’s TV landscape. The series had a lot of buzz surrounding it even before it aired. When the trailer premiered on YouTube back in May, it garnered over 17 million views in its first 3 days. It has since been watched over 65 million times. If you’re concerned about getting interested in a show only to see it get cancelled, don’t worry. The show is one of the highest rated new shows of the fall and has already been picked up for a full season. 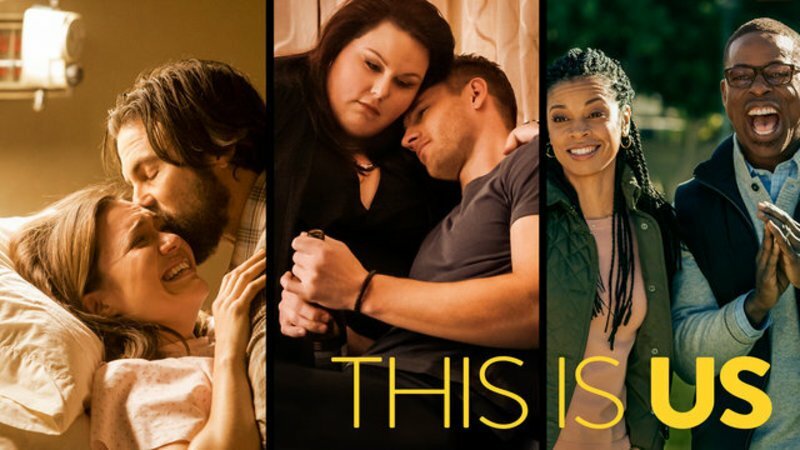 ‘This Is Us’ comes from Dan Fogelman, the screenwriter who wrote the film ‘Crazy, Stupid, Love’ and airs Tuesdays at 9 on NBC. You can catch up On Demand. Follow Bill on Twitter @BillsTVTalk and on Facebook at Bills TV Talk for daily up-to-the-minute TV news and discussion.